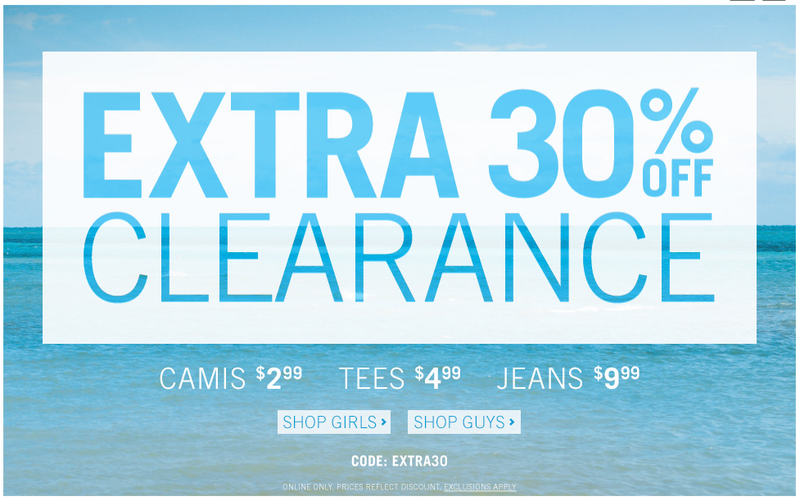 PS Aeropostale has an extra 30% off Clearance with Coupon Code EXTRA30. The Coupon Code expires 6/22. You can also use an Aeropostale Coupon Code that will get you an extra 30% off Clearance. Use Coupon Code EXTRA30 Exp 6/22.